Capitol Waste Services provides unparalleled waste collection, disposal and recycling services to numerous municipalities. 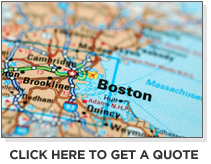 In addition, we provide services to businesses throughout the Greater Boston area and surrounding communities. Our experienced staff will work with your organization to develop a detailed management plan including an operations outline, service schedule, communications plan, procedures outline and best practices. Visit our Gallery to view images of our best-in-class fleet of vehicles. Contact us to request a quote or learn more about this service. Capitol Waste Services also provides dumpster and waste disposal services to many restaurants, apartment complexes, and both small and large businesses in the Greater Boston Area. Our staff will work with your business or establishment to develop and implement a simple yet effective waste management solution to suit your specific removal needs. 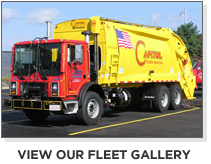 Capitol Waste Services currently provides roll off service many large and small contractors, as well as homeowners in MA, CT, RI and NH. We not only offer 10-30 yard roll off containers, but also offer roll off Compactor service. See the chart below to view our inventory of available roll off containers. Contact us to request a quote or to schedule a container delivery.